We are flexible and unburdened by procedures that may conflict with your own operational needs. This means that your business gets handled the way you want it handled, rather than according to a law firm’s protocols. It also means we have the time to respond to your needs rather than a large law firm’s administrative burdens. We are enthusiastic about our mission as a professional service organization. Efficient handling of lawsuits requires the development of close-knit attorney-client litigation teams. 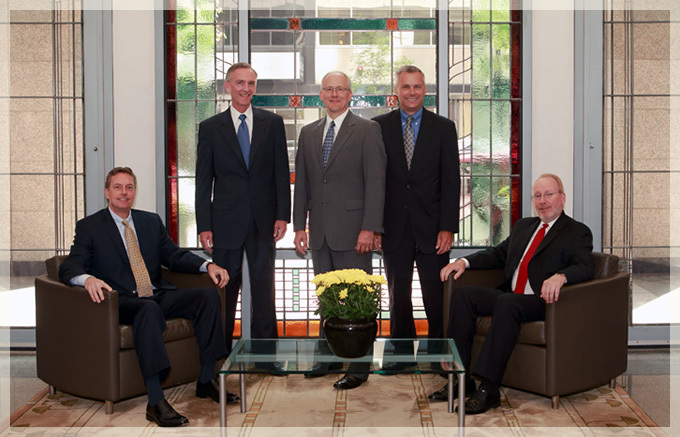 We believe that the best results are obtained when attorneys and clients cooperate throughout all phases of litigation. You can expect more from us than after-the-fact status reports and bills for services rendered. We have extensive experience serving as national coordinating counsel for Fortune 500 companies involved in mass tort, complex civil and products liability litigation. We are nationally-recognized speakers with cutting-edge strategies in emerging fields of litigation. You have a right to expect a law firm that will not only respond to your current needs, but will also anticipate and meet your future business and litigation needs. Lawyers who merely react and respond cannot keep pace with the evolving demands of your business. We have formed this law firm because we are committed to providing better and more effective legal services for you.